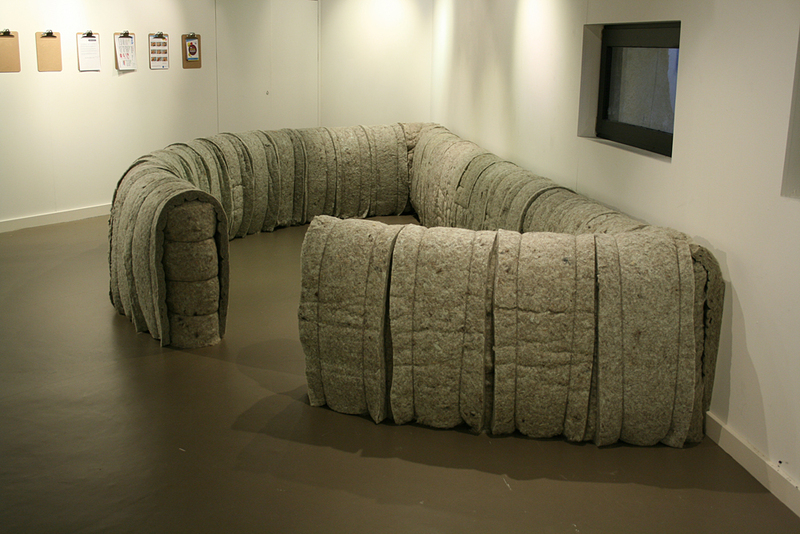 Sculpture using Thermafleece, Herdwick yarn and timber. 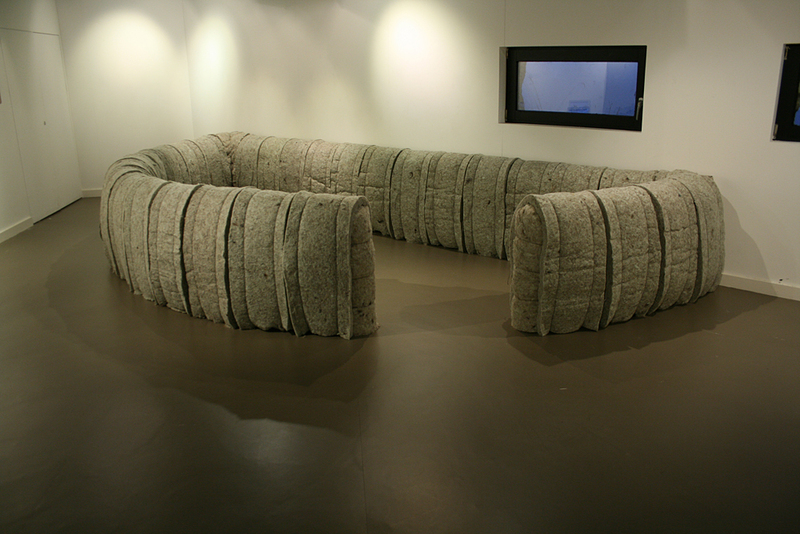 Commissioned for WOW, Rheged Gallery, Penrith. 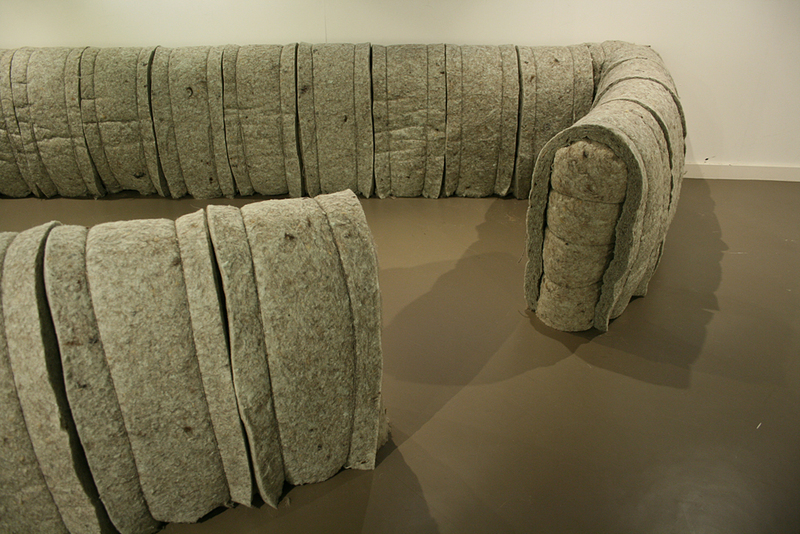 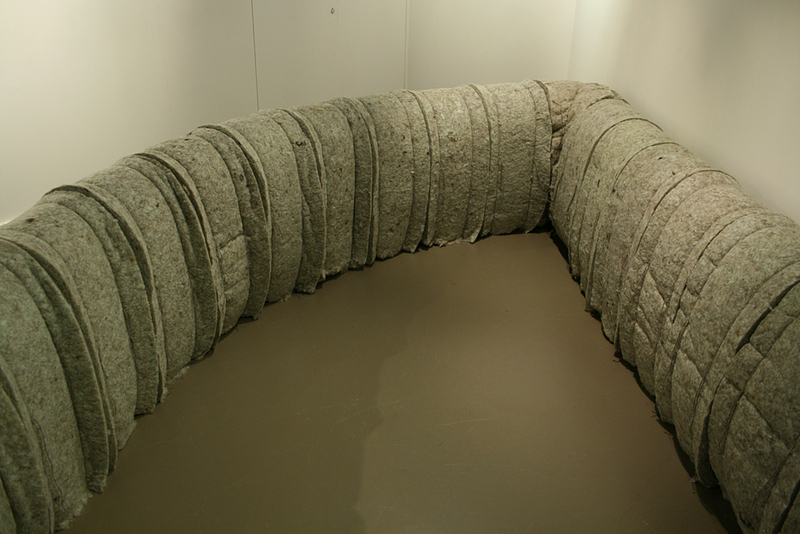 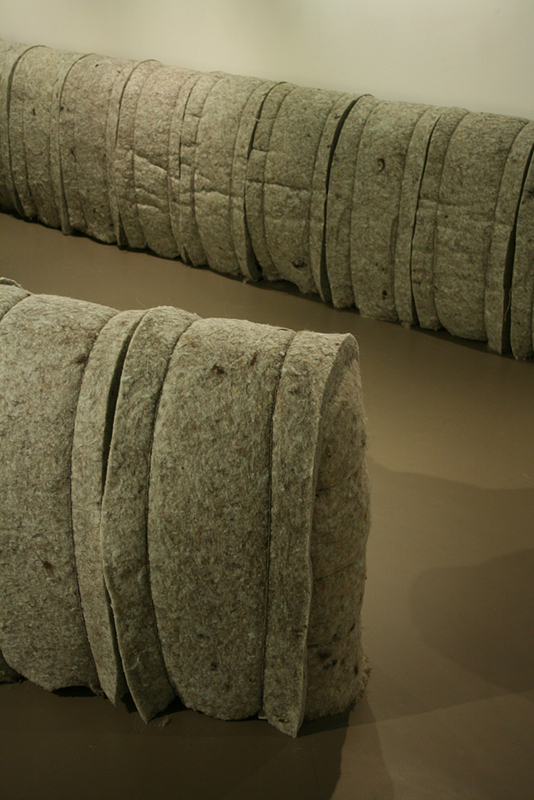 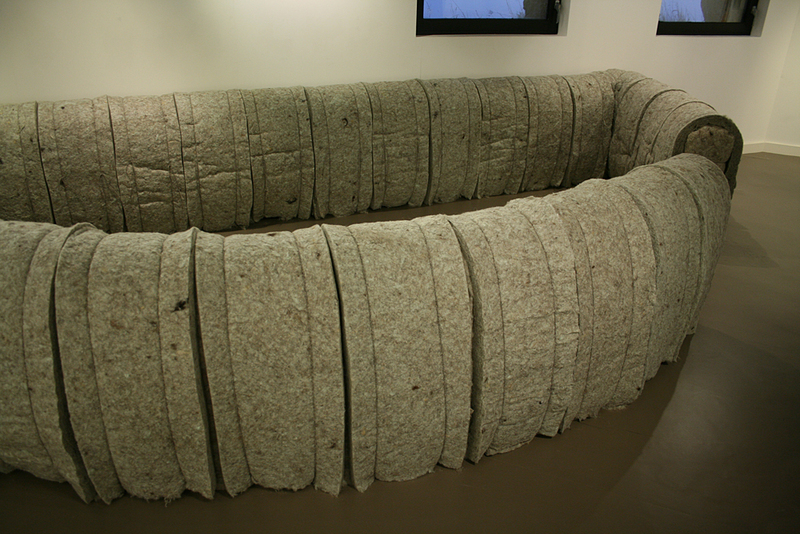 A sheepfold made out recycled wool insulation material. 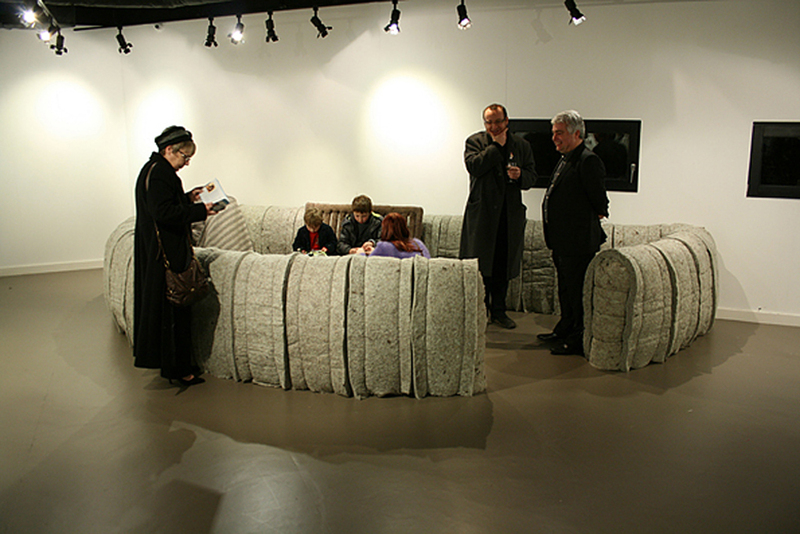 It was used as an information resource and workshop space during the exhibition. 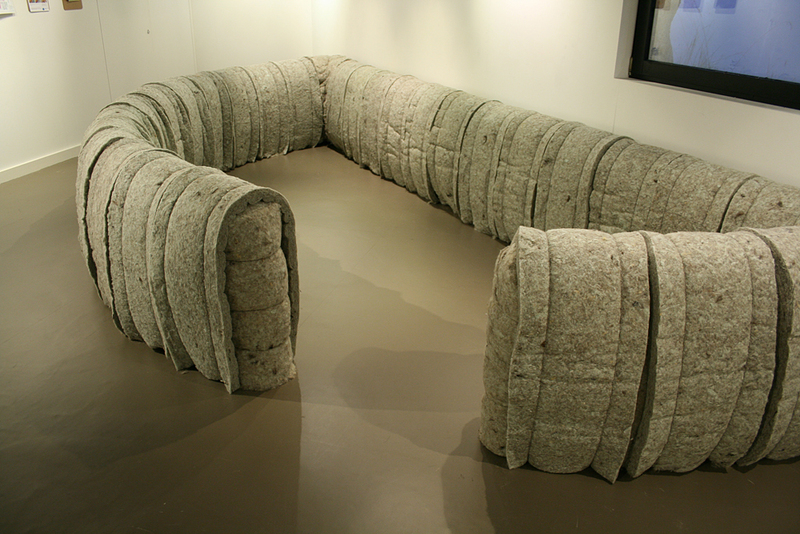 Max Armstrong, Susan Crawford, Stewart Easton, Felicity Ford, Fay Godwin, Kate Jenkins, Steve Messam, Deidre Nelson, Kate Pemberton, Trevor Pitt, Celia Pym, Freddie Robins, Annie Shaw, Amy Twigger Holroyd and Joss Wrigg, and designers: Carréducker, Fine Cell Work, Donna Wilson and Wool Clip.